Before the beginning of 2017, I can’t really say that I have visited Spain. Sure, I have been to Madrid (one day, in a layover before my flight to South America) and 3 days in Barcelona (unfortunately timed with the referendum for the independence of Catalonia) but this doesn’t mean that I knew much about Spain. I wasn’t even aware of how big the country is. Do you know that there is around 1000 km between Barcelona and Malaga? 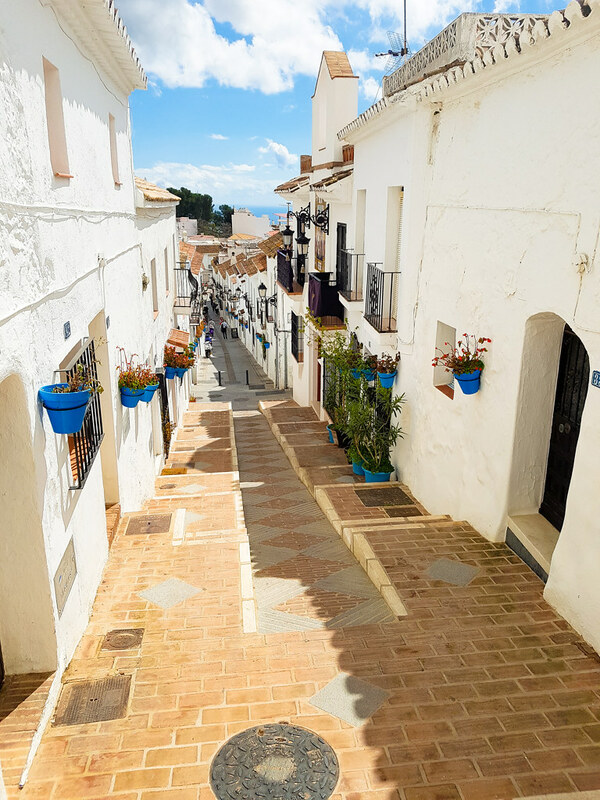 This year, however, I got the chance to explore more of Costa del Sol, the South part of Spain, and I fell in love with Andalusia’s white villages. There are so many beautiful places to see in Andalusia, from Granada, with its impressive Alhambra to Itaca, with its roman ruins, from Malaga, with its great nightlife to the El Chorro, with the famous Caminito del Rey. But today I am going to tell you about my favorite white village. 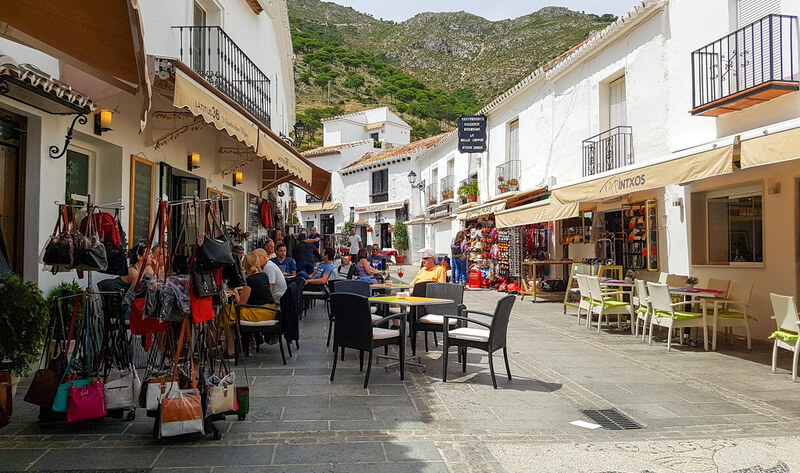 I have visited Mijas Pueblo quite a few times so I’ve created this complete travel guide with my recommendation on how to best explore this hidden little gem close to Malaga. 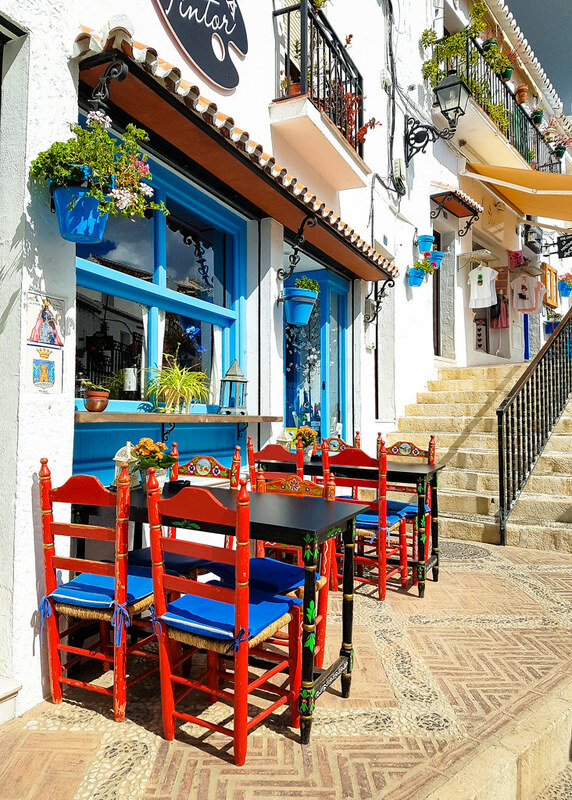 Mijas Pueblo is probably one of the most beautiful white villages Andalucia has to offer. 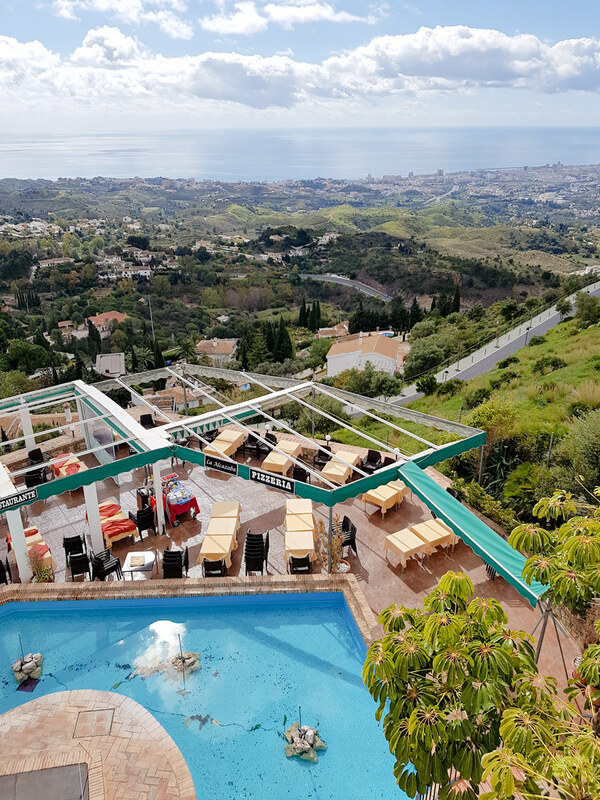 Tucked in high, on the side of a mountain, the village offers stunning views over the Costa del Sol, from Benalmadena and Torremolinos in the East all the way to Gibraltar (on a sunny day) in the West. Sometimes you can even spot the shapes of the mountains from Morocco. The village dates all the way back in the Bronze Age and has been inhabited by the Phoenicians, the Romans, the Moors and in the end, by the Christians. Walking on the streets of the village you will notice an amalgam of different architectural styles, especially in the lower part. Being built on the mountainside, the village is split into the upper part and the lower part, divided by the Plaza Virgen de la Peña, the main square in town. 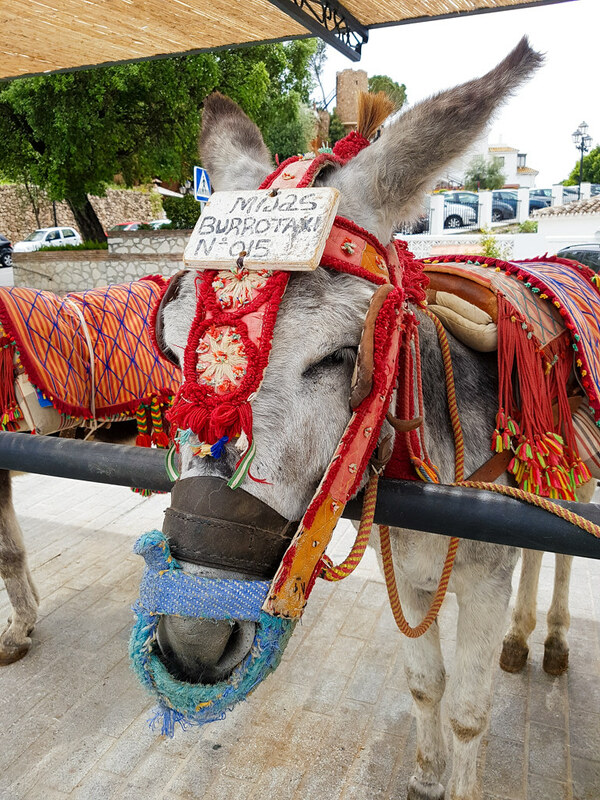 Mijas is also famous for its burro taxis – touristy carriages pulled by donkeys. Mijas is one of the last places in Spain where donkeys are used for tourism. However, the local council has imposed a set of strict regulations to make sure the animals are very well taken care of. 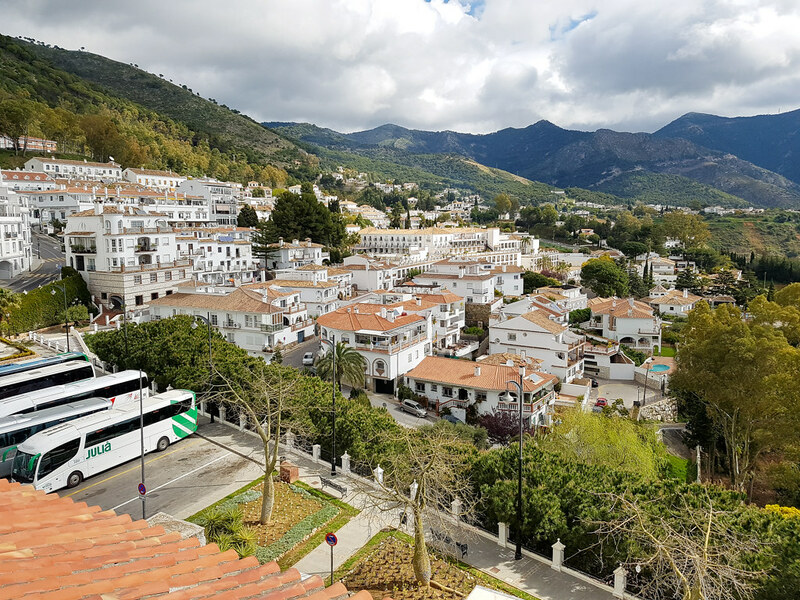 The easiest way to get to Mijas Pueblo is by bus, from Malaga’s Central Bus Station (Estación Bus Málaga). The M-112 (see the timetable here) bus runs 7 times a day and the price of a single ticket is 2.30 euros (as per August 2017). The total travel time from Malaga to Mijas is 1 hour. If you are based in Fuengirola then take the M-122 bus (see the timetable here) for a short 15 minutes journey to Mijas. The fare for a single ticket is 1.55 euros. If you are based in Marbella you can opt for a private half-day tour with transport, pick up and drop off to your hotel included as well. Check out the details here. 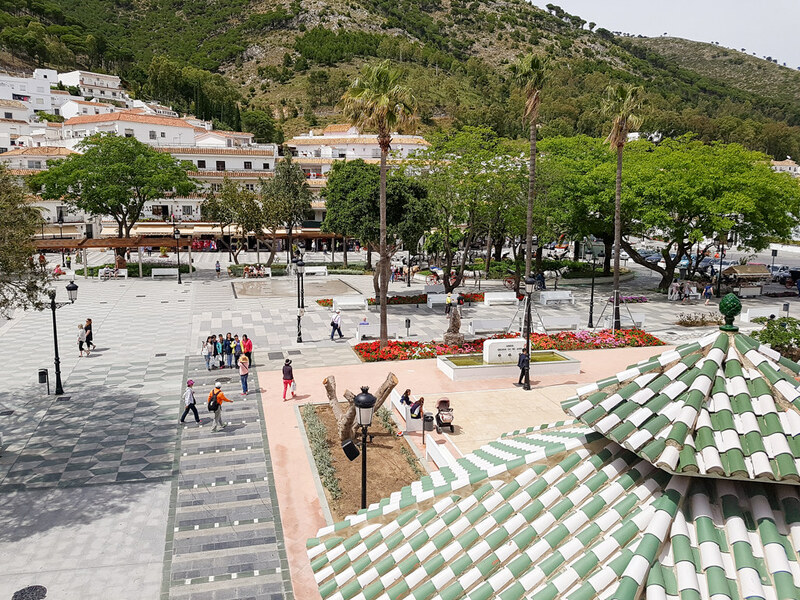 If you are coming to Malaga by cruise ship and want to explore the white villages, there is a private tour that will pick you up directly from the terminal and take you to a city tour as well before departing for Mijas. 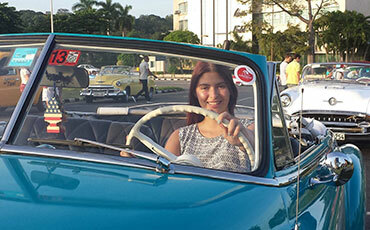 These tours guarantee you get back in time to your cruise ship and start from only 50 euros. Check the details by clicking on this link. If you want to rent a car make sure to read this helpful guide on how to save money on rentals in Spain. If you are looking for a special getaway with your family and you want a quiet homely environment then you should consider renting a villa in Mijas. The biggest advantage of renting a villa is the privacy that it comes with. It is also a very cost effective solution when you compare it with booking hotel rooms, especially if you have a large family or you are traveling with friends. 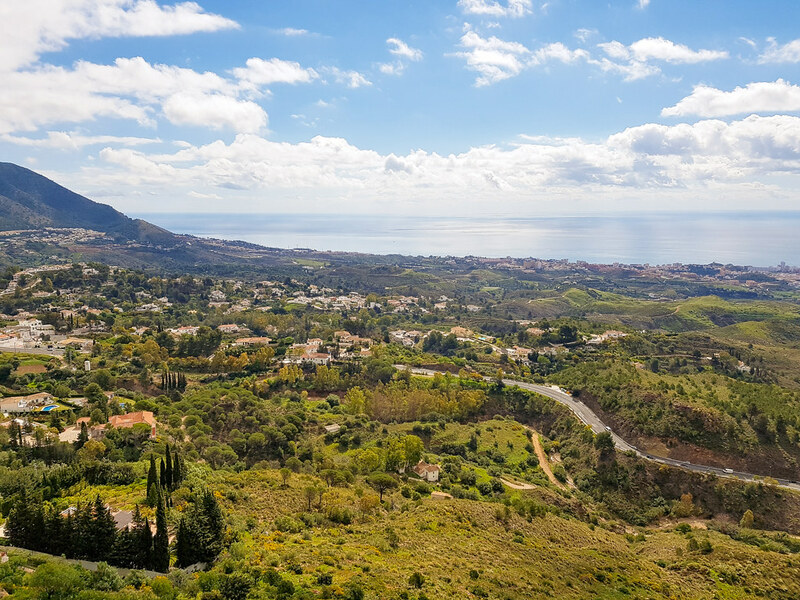 All James Villas in the Costa del Sol are designed in a traditional Andalucian style, offering stunning views over the coast and the mountains. Each villa is modern furnished, has an outdoor terrace with a covered dining area and comes with its own private pool. All the rooms are air conditioned and benefit from Free WiFi. The villas are fully equipped with everything you need for a perfect holiday, including an outdoor barbecue where you can cook your own dinner while watching the sunset. This is by far my favourite place to have tapas in Mijas. From the outside it doesn’t look much, just a café with a few seats along the side of the street. However, if you venture inside, pass by the dining hall and head towards the tiny white door in the back, you will be welcomed into the secret garden. Simple chair and small tables are set on pebbles, underneath orange and olive trees, surrounded by green shrubs. I recommend going for the tapas and don’t miss the Grandma’s spinach croquettes or the chorizo in sweet wine sauce. To drink, you must order the homemade sangria, they make a very good one, sweet and full of fruits. The Secret Garden is also famous for serving a delicious Argentinian steak but I didn’t try it as I went there for lunch and they only fire the barbecue in the evening, for the dinner menu. If you are looking for the cutest and probably the most Instagramable coffee shop in Mijas, this is it. 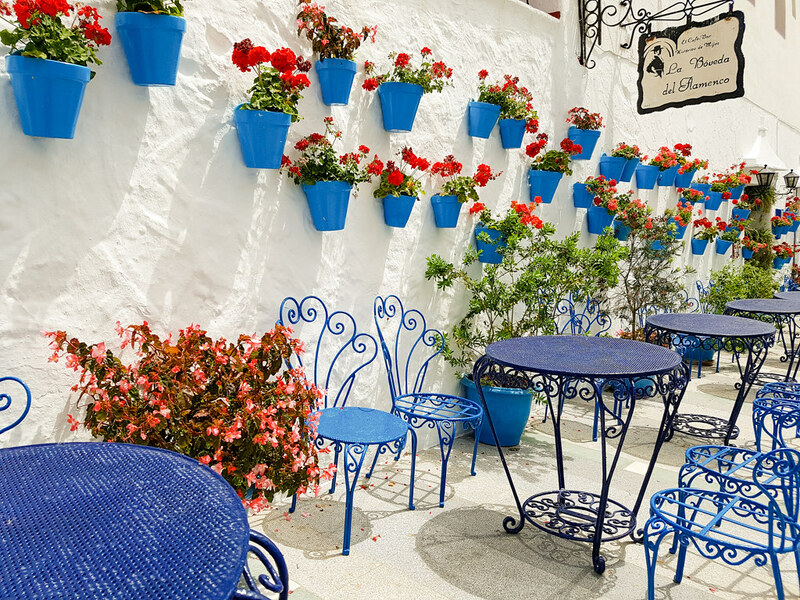 With vintage wrought iron chairs, blue umbrellas, red tablecloths and a white wall decorated with flower pots, La Bovedo del Flamenco is the perfect place to go for breakfast. Fun fact, this little café used to be the old village jail. Locals are praising the friendly service and the quality of the breakfast, especially the ham and cheese tostada, their speciality. If you fancy dinner with you a view and good cocktails then you should go to La Alcazaba. They specialise in fish dishes, sourced from the nearby sea, but their menu also offers plenty of other choices. However, due to the location and the panoramic views, expect to pay more than at another restaurant in the village. Make sure to book in advance and request a table next to the windows. 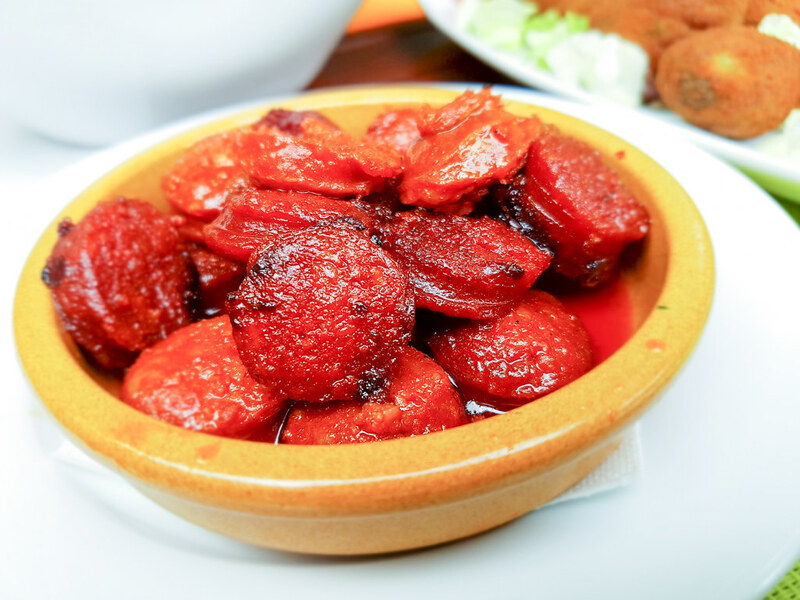 Another excellent restaurant for tapas, Pampa Tablas Y Tapas is the perfect place for a relaxed evening, with plenty of food choices, both for meat lovers and for vegetarians. This is another restaurant that from the outside doesn’t look like something special but once you step inside you are welcomed warmly by the friendly staff, ready to take you through a journey of flavours. 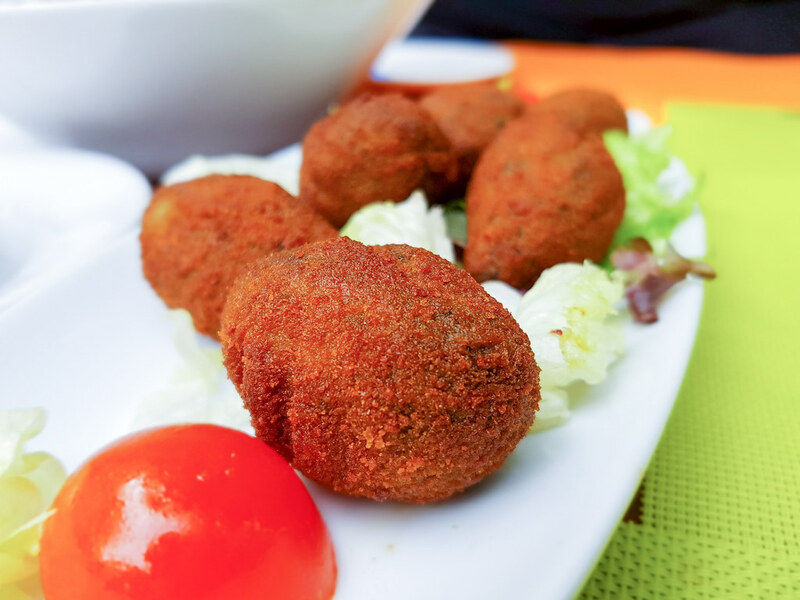 The restaurant focuses on traditional Spanish cuisine and it is very popular among the locals because of the high quality of food and the affordable prices. You can always also take a village tour with tapas included for only 40 euros (click here to check the latest prices and see all the details of the experience). The Muralla Gardens have been built on the remains of the old fortress walls and offer stunning panoramic views towards the coast. Situated in the lower part of the village, the gardens are designed to have multi-coloured flowers blooming all year round. The Gardens are also the home of the bull ring and the San Sebastian church. Dating from as early as the 1900s, the bull ring in Mijas is unique in Spain because of its unusual oval shape. Because it was built o a rock, the arena couldn’t be made round. For the same reason there are seats only on 2 sides of the bull ring. Even if many areas of Spain have stopped bullfighting, they still happen at the arena in Mijas. The bullring is usually used for less experiences toreros to show their skills. The arena is quite small and for this reason only young bulls are used here. The legend says that back in 1538 two children playing outside the city walls have seen a white dove, different from the others. The dove let them touch it before it flew away. The next day they had the same encounter with the dove so they told their parents who forbid them to go back to the walls, fearing something bad might happen to them. When they returned to the walls, days after, they’ve heard a voice calling them. They followed it and, besides the tower of the castle, the Virgin appeared to them, asking to be let free from the rock. The children told the story to their parents who alerted the authorities and the next day the entire village went to the tower. The father of the children started to remove the rocks and he found the statue of the virgin which stands today above the altar, in the chapel. After years of failed plans to build a chapel in the same spot, a local priest decided to construct it himself inside the rocks, finishing it in 1682. Virgin Mary is the patron saint of Mijas and it is celebrated each year on the 8th of September. Situated in the upper part of Mijas, a visit to the chapel of Calvario Hermitage will have you do a workout as well. The path is strenuous, uneven and rocky, going up underneath tall pine trees. Don’t attempt this short hike on a very hot day without good grip shoes and plenty of water. However, the hike is all worth it once you arrive at the chapel and notice the panorama of the entire coast in front. The hermitage is a small chapel built in the Valencian Baroque architectural style. When I was there it was closed and I’ve heard that it’s rarely open but you might be lucky. If not, the views are worth the effort of going up. 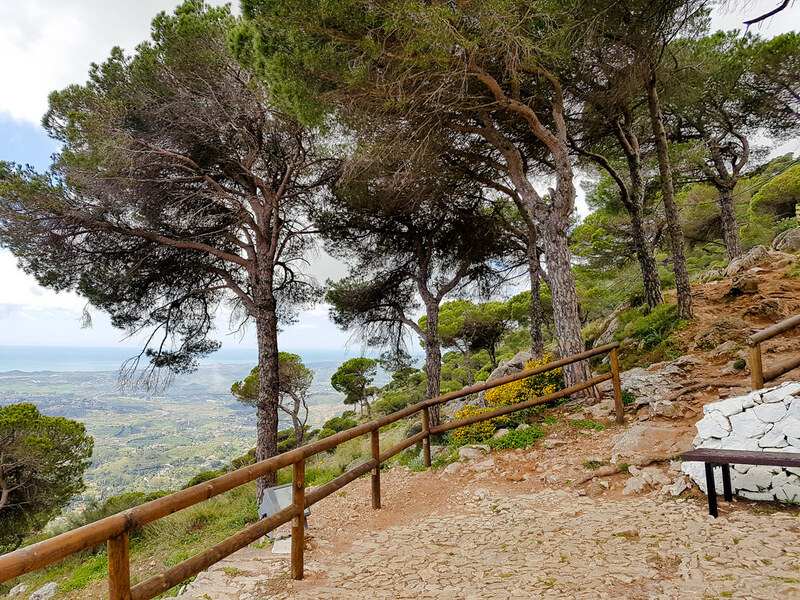 From Calvario Hermitage there are several trails continuing towards Pico Mijas, the top of the mountain. This is considered a medium-difficult circular hike of 14,5 km (around 6 hours) with walking on top of a ridge and drop at some point, so if you’re afraid of heights take this in consideration. The views from Pico Mijas are stunning though. The story of the Burros of Mijas started in the 1960s, when the first tourists arrived to the village. Back then the donkeys were used by the locals to transport wheat, fruits and vegetables in large baskets across their backs. The tourists were fascinated by this practice so besides taking photos, they started to ask the locals to let them ride the donkeys for a small tip. This amount of money was so large though, covering their daily wages, that one local men saw an opportunity and decided to start the burro taxi company. The location of the burro taxi is the same as back in 1960, in Plaza Virgen de la Peña, the place where the buses full of tourists usually stop. Even if the donkeys are very well taken care of and looked after the El Refugio del Burro (The Donkey Sanctuaty, a non-profit association protecting the animals), I would not recommend riding them for the simple reason that I am against touristic activities which involve animals. As tempting as it might be, I would recommend to do a guided panoramic electric tuk tuk tour of the village instead of one riding a donkey. You are in Andalucia, which means that you’re in for a treat if you are searching for a traditional experience. Every Wednesday at noon, in Plaza Virgen de la Peña, there is a free flamenco show performed by “Artes Cordobes”. Flamenco is a passionate art performance originated in the South of Spain and associated with the Romani people living in Andalucia. It consists of a combination of musical styles, like singing, guitar playing, vocalization, hand clapping, finger snapping and dancing. Flamenco is usually an expression of the deepest emotions using body language and facial expressions. Did you know that the region of Malaga is the oldest wine making area in Spain? At the Mijas Museo del Vino you can find out a lot about the production of the sweet Malaga wine. The grapes used in the Malaga wine are already very high in sugar and go through a different making process than the wines in the North of Spain. After harvesting, the grapes are left outside to dry under the hot sun to reduce the moisture and concentrate the natural sugar. Even if the Malaga wine is dark coloured, the grapes it is made from are white. The dark colour comes from the over ripening of the fruits. At the Museo de Vino in Mijas not only you can learn about the process of making Malaga wine but you can also have a glass or two on their tiny terrace in the back. The museum organises tasting sessions and wine tours and also stocks about 250 different Spanish wines which you can buy. 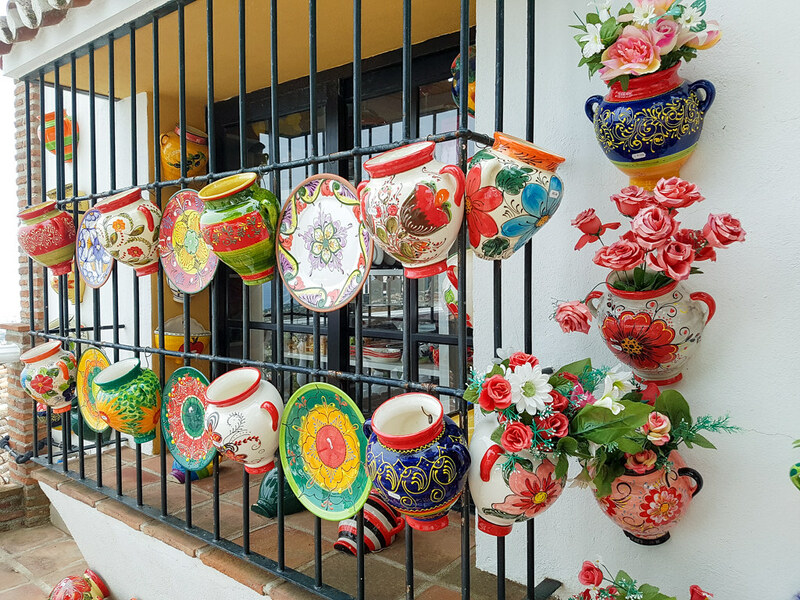 Even if it is a small village, Mijas is a great shopping destination especially if you are looking for traditional handmade ceramics. Many local artists have shops in town where they sell their art and crafts, like leatherwork, linen, paintings and jewellery. If you are searching for a unique piece make sure to pass by Artesania de Espana. The owner is working together with artisan craftsmen from all over Spain to create unique ceramic pieces at the highest quality. If you like chocolate then you have to visit the smallest chocolate factory in the world: Mayan Monkey. Besides selling their own products, you can also buy a chocolate making experience in which you learn how to make chocolate bars, truffles, figurines and many other sweet treats. 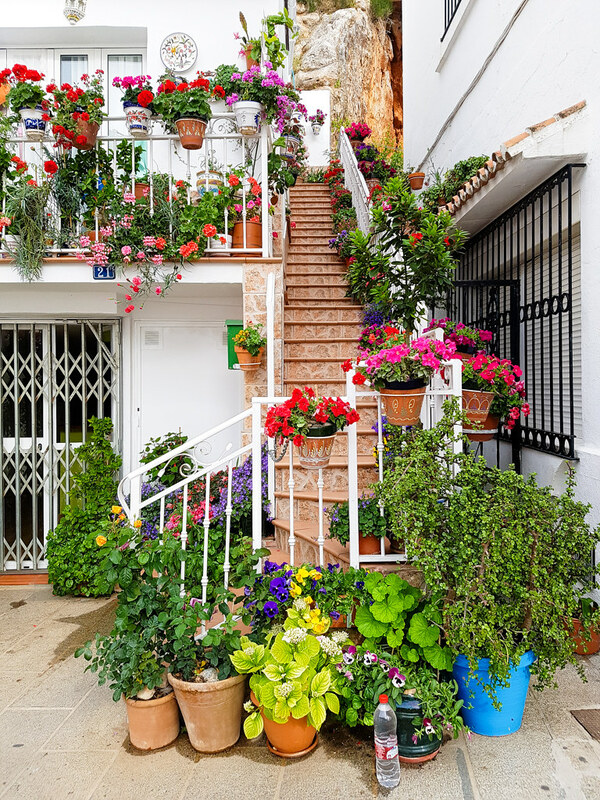 Walking on the streets of Mijas is an experience itself, with the streets going uphill and the white houses dressed in flowers. Take some time to just walk around and admire the most beautiful white village in Andalucia. ← Derry or Londonderry? How about Legenderry! Your trip looks and sounds amazing! The photos are really beautiful and colorful. I would love to visit Mijas Pueblo and watch a flamenco show! Spain is one of my top Europe Bucket List destinations and this is exactly what I picture when I think of visiting. So, so beautiful. I love all of the history and culture you included in this post – the story of the Virgin Mary statue reminds me of a similar story here in Costa Rica that has resulted in an annual pilgrimage of many, many kilometers after a little girl found a statue that kept re-appearing every time she moved it. I find local stories that like to be so fascinating! Thank you for sharing! You caught me at the first photo and I fell in love by the second photo and by the time you made it to “where to eat” … I’m infatuated. What a GORGEOUS and such picturesque city! I’ve been dying to get to Costa del Sol and this has just added to my wanderlust. 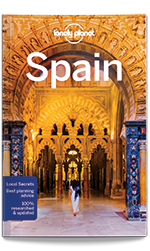 Thank you for this useful article, will save it to plan my upcoming Spain trip. This place looks lovely. Do you know any particular Instagram profile of a restaurant or a holiday home in that area? I need examples for my business 🙂 Thank you! What a thorough guide and I love how charming this white village is. I mean, even the donkeys look cute here. Also love the free flamenco show. 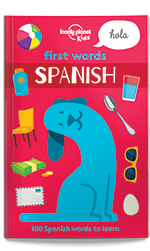 Dying to visit more of Spain and get off the besten path so this is great. Thanks for sharing!! I went to Malaga and really wanted to get here and the other towns around. Such beauty. Hopefully next time I will be able to explore and see this for myself. this place looks absolutely pretty! i would l love to go here! I’ve not been to mainland Spain yet. Just the islands. Looks like Mijas Pueblo has to go on my list when I visit the mainland. The view from Calvario Hermitage is beautiful and all the color just makes you go ooh. Lovely! I’ve only been to Spain a couple of times too and on both occasions thought “Ugh, I love it here. Why don’t I come back more often?” Particularly to Andalusia – have only been to Seville. Those ceramics are gorgeous! This is so beautiful. I love the Costa del Sol but I have never made it to Mijas Pueblo. I saved it to my travel bucket list! I loved learning about this adorable white town in Andalusia! I’ve always wanted to go to this region of Spain and Mijas Pueblo looks like a great place to start. Great photos and very informative!! I love these pictures. Makes me so excited to know I am actually going to the same area. Thank you for the article. It is right on time! My fantasy would be to rent one of the villas you describe that was close enough to town to walk in and explore. Such a beautiful place and I didn’t know about it before. Wonderful post. Wow, the sunny weather and Spanish buildings already got me excited! Not to mention the exciting food there. Thanks for the introduction about someplace else in Spain and great pictures! Oh my gosh, Mijas looks so beautiful! I’m currently dreaming about exploring Andalusia this December and now I have to add Mijas to my list! I think I would absolutely adore spending some good time here. So beautiful! Just by looking at your photos I am conviced to go there! The streets looks completly empty, how is that possible? 😂 It is intressting the story about the cave and the statue! Your photos are fabulous for this post, I haven’t been to Spain in so many years, but I would love to back one day! On our last trip to Spain, we did a road trip from Seville to Granada, stopped at some White villages on the way but we didn’t make it to Malaga. Mijas Pueblo looks lovely and looks like there is so much to do too! Will have to plan a trip soon. I would love to visit Spain. Its high on my bucket list. 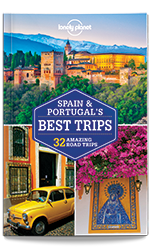 I need to bookmark this page as I’d love to travel in a Burro Taxi and sip a coffee in La Bovedo Del Flamenco so visiting Mijas Pueblo will be high on my list. Wow what an absolutely beautiful looking place to visit, I love what someone has done with all the flowers, how beautifully colourful is that. Incredible photos of a beautiful place. I love the row of white houses, utter perfection! This looks like a gorgeous place to visit – I love your photos. The food looks delicious too! What stunning photos I love the bright colors of all them flowers. I’ve never visited mainland Spain. Oh wow I love this! The white houses are SO pretty! And all the flowers too! Everything is co vibrant, colourful and inviting. 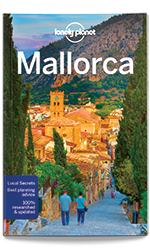 Looks like a beautiful village and a must visit for anyone heading to the Costa del Sol. What an absolutely beautiful village! Wow this is so pretty! I love that I’ve never heard of Mijas and it’s so beautiful – makes a change from all the articles on Santorini. Looks very peaceful. What I enjoyed the most about your post is the pictures. All camera shots are awesome. Spain is also on my list of beautiful places worth a visit once in a lifetime. Wow, wow and a big wow to this stunning village of Costa del- Sol. I went upto Malaga in Spain and was not knowing this. This is my kind of travel to small, cute villages with full of art and culture. 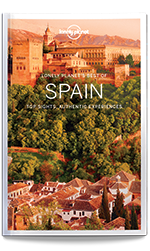 Now it is on my wishlist and I have to go again to south of Spain now. Wow, just wow, the pictures themselves are amazing, this village seems like a perfect getaway place… I would love to visit Spain one day and your post is just making me itch for booking something soon, you did an amazing job describing it also.. and burro taxis???!!! How cool is that! Wow, Costa del sol looks beautiful! I love the sound of a wine museum too!! What a beautiful and stunning place! It reminds me of Greece a little, love the vibrant colors. I am adding this ot my bucketlist. Ohh, the place is beautiful! It’s magnificent. The photos seems so very very real! I love it! The Costa del Sol is a beautiful place to visit. I have been quite a few times and love it. Your pictures are fantastic! Oh this area is so beautiful! I was actually in Marbella earlier this month, so not actually far from this area. I love how all the buildings and little streets look in Spanish towns like this – just all the little plant pots and the decor! Your pictures really capture the beauty of the place oh to be there instead of the U.K. on a wet Tuesday night. I could just jump to that pool at the villa right now. What a beautiful place, I like holiday destinations that have culture . Costa del Sol looks lovely . What a beautiful and super informative travel post. 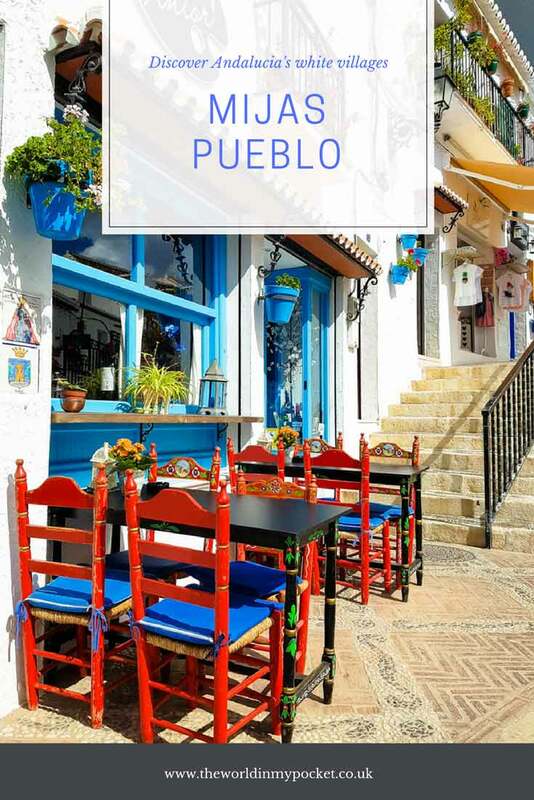 Spain is up there on my list, I must add Mijas Pueblo to the must-see! I have been wanting to visit Spain since my first ever Euro trip. Spain is so beautiful and your pictures are even gorgeous. I hope I can visit Spain this year when I visit in December; although, I would love to visit it in summers. 🙂 <3 Thanks for sharing super detailed and helpful post. I’ve never been to Mijas Pueblo before but seeing your photos makes me wanna go there too. 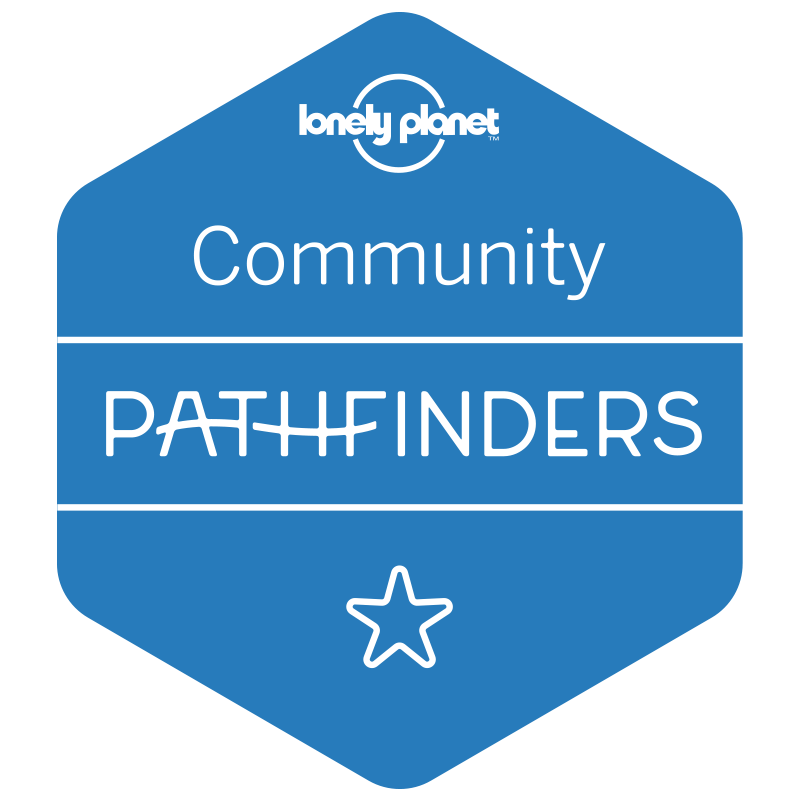 I’m sure there are many fun filled adventures waiting for me there and thanks for sharing your experience. I am desperate to get back to Spain, I just love it there. I really want to visit Mijas Pueblo now, your photos are beautiful. Amazing clicks .. Remind me of our time in Capri , Italy .. These isolated county side retain there charm forever . Wow! What a stunning getaway! The view from Restaurante La Alcazaba is absolutely surreal and that La Bovedo Del Flamenco looks like a place to take perfect pictures for an Instagram. As a lover of colors, I’d love to explore this little cute white village ! OMG this place look stunning! Love your beautiful photo’s I can tell you has a blast. I would love to visit Costa Del Sol. Wow! This place looks amazing! When I think of Spain I often think of the obvious tourist destinations, but there’s so much to see in the quaint towns. Stunning photos. I just happened upon this page and really enjoyed it. Sure wish I could jump on a plane and go right now! Been to this beautiful friendly village a couple of times and returning again in March. Great pictures and a good read. Currently sat in the Secret Garden, with the cat visiting our spare chair!Thank you for your great guide, we have visited the coffee shop and tasted wine in the museo. Great day – now waiting for spinach and cheese croquettes. Can’t wait to check out more of your destinations.